Posted on May 28, 2014 | Comments Off on Need a House? Call Ms. Mouse! As I’ve mentioned before, I’ve been looking for this book for a long, long time. I’m very happy to have found it. Doris Susan Smith has an amazing eye and her illustrations are beautiful, thoughtful, and clever (click on the picture of the frog’s “pad” above to see what I mean–it will get bigger). My oldest likes the cat’s Japanese-style house and the frog’s pad best. 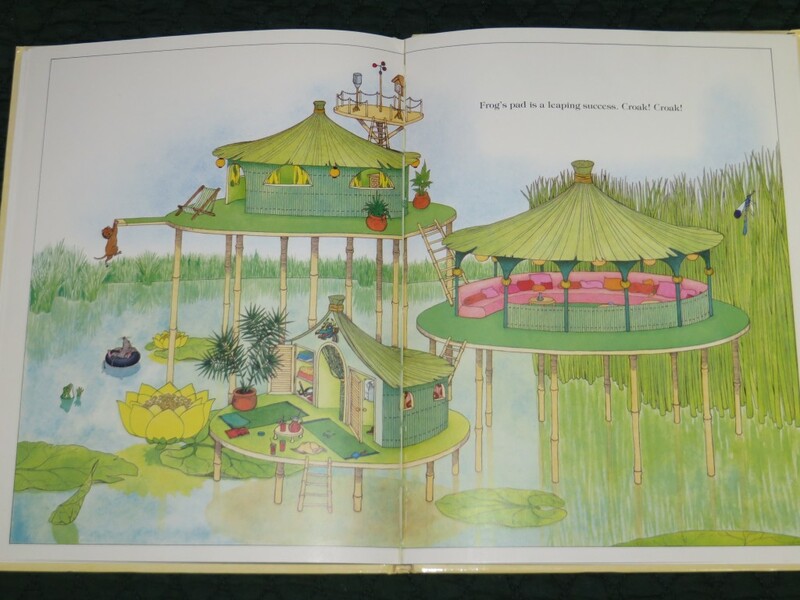 My youngest likes the otter’s hunting and fishing lodge and the frog’s pad. My husband likes the owl’s observatory and fox’s den. My favorites are the worm’s hollowed-out pear and the frog’s pad (although all of us have several runners up for favorites). None of us like the pig’s mansion much (too formal!). 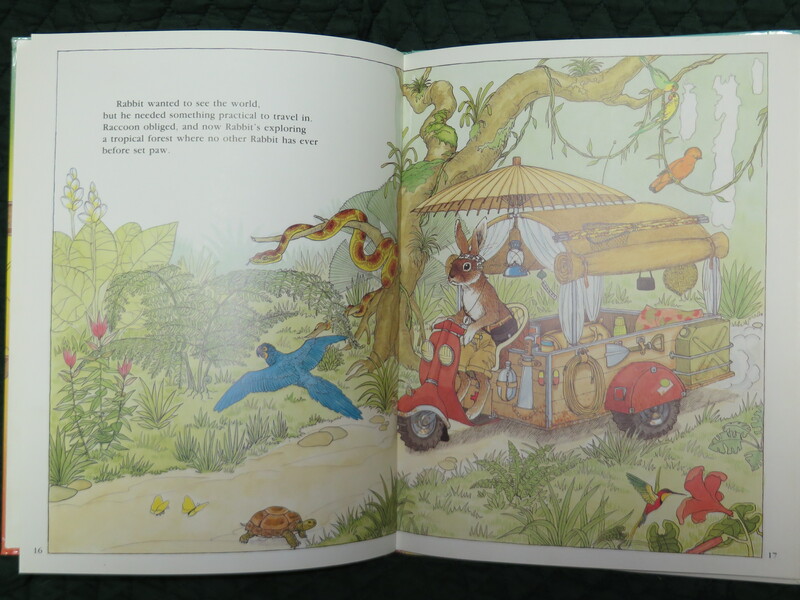 The words are nothing more than an excuse for the wonderful pictures, but we all like the book very much (although Ms. Smith’s Jeremy Rabbit books and The Elephant’s Airplane retain their places among the boys’ very top favorites). Comments Off on Need a House? Call Ms. Mouse! For years I’ve heard about the beloved Need a House? Call Ms. Mouse! but I’ve never been able to find a copy that wasn’t selling for hundreds of dollars. (I’m still looking, if anyone has a hot lead!) But I’m very grateful to Ms. Mouse; she led me to my oldest son’s very favorite book: The Elephant’s Airplane and Other Machines. Doris Susan Smith illustrated both books and her work is amazingly intricate and creative. The story (translated from the original French) is really mostly an excuse for the illustrations; animals come from far and wide to Raccoon, Maker of Fine Machines, to order the custom-built machines of their dreams. My son’s favorites include an underwater speed boat for The Deep Diving Platypus and a traveling home for Rabbit the Explorer. Personally, I’m particularly fond of the heated snowmobile for A Most Unusual Lizard. Though it is out of print, this book is easy to find and is absolutely worth the effort.